Added Swithland 6 Final Results to the 2016/17 Races & Results page (via LRAN). Barwell Lane field. 6.30 meet at leisure centre or 6.45 at field. 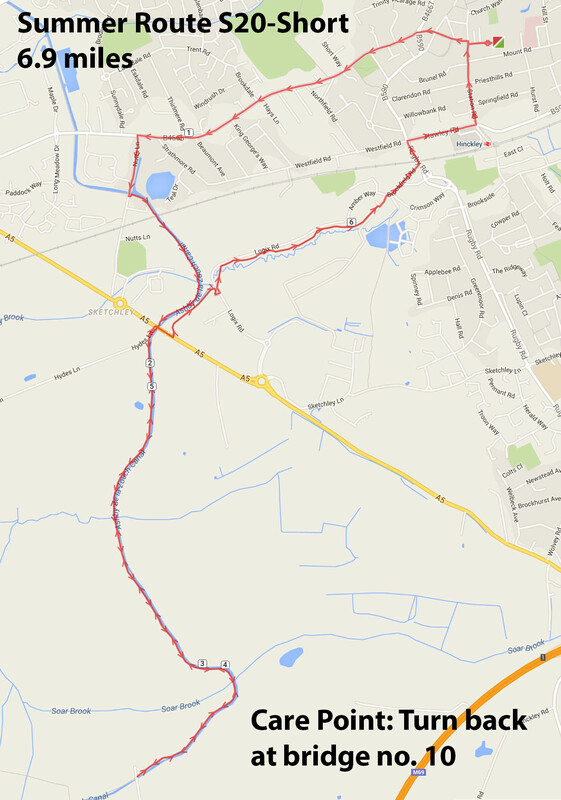 Route from leisure centre – castle street – derby road – ashby road – barwell lane. Chain runs and sprint relays. 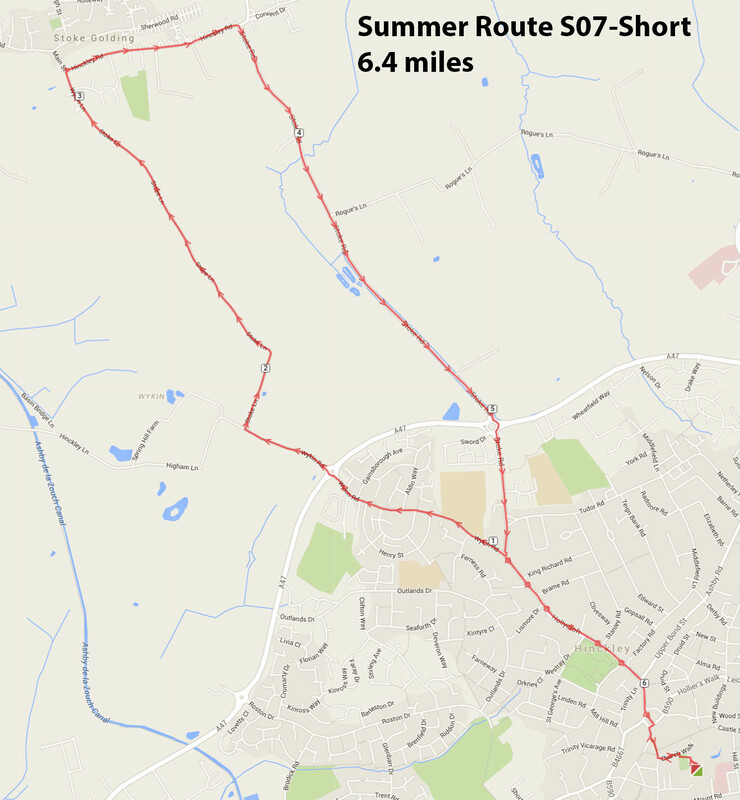 6.15pm meet outside the Leisure Centre for a 6.30pm run. Added Swithland 6 Draft Results to the 2016/17 Races & Results page (via LRAN). 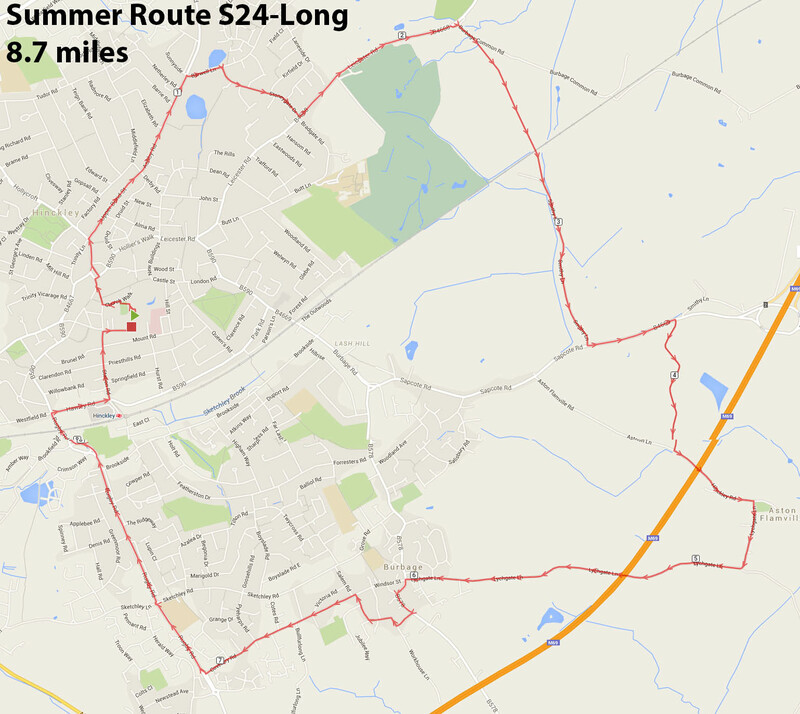 A nice stretch of the legs out towards Elmesthorpe and back. Meet in front the leisure centre from 6.15 for 6.30 set off. Tuesday night Training will be at Queens Park. 6.30 leave the leisure Centre and 6.35-6.40ish at the Park. 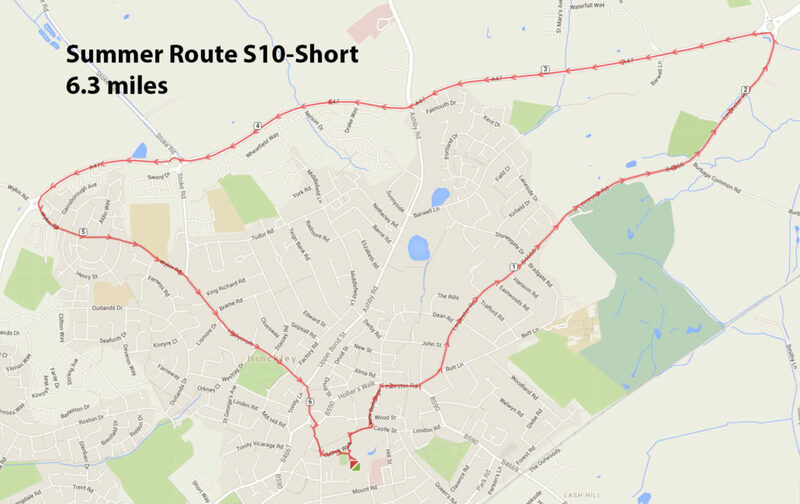 Warm up will be down Church walk, up Castle St and then directly to the park and 1 lap of the path in the Park. Added Gaddesby 7 Final Results to the 2016/17 Races & Results page (via LRAN). A bit of ‘off road’ out towards Burton Hastings. Added Gaddesby 7 Draft Results to the 2016/17 Races & Results page (results via LRAN). 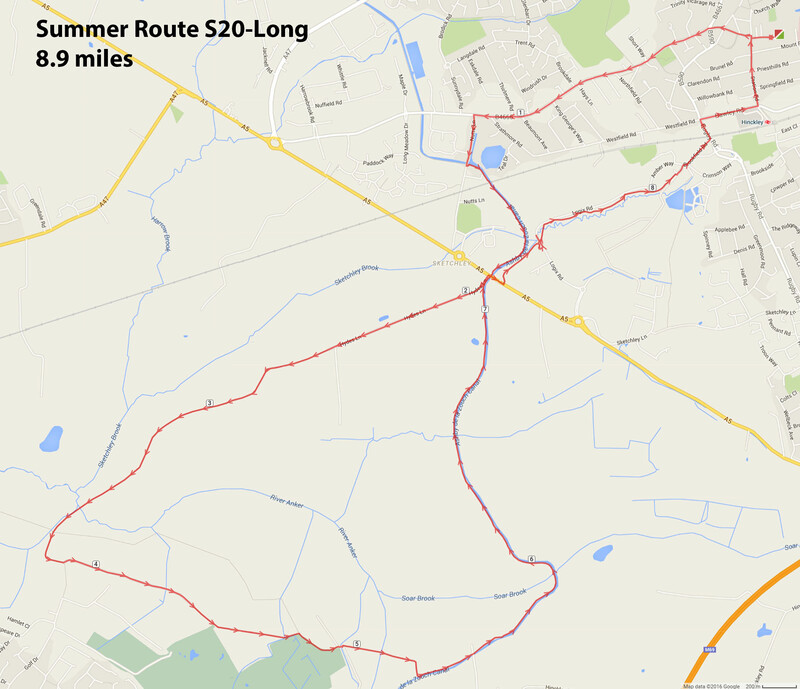 Both routes in big book and on web site. Thought we’d better stick to the roads tomorrow after all the rain today! 6.15 meet for 6.30pm departure. Non-members welcome to try the club out – no need to let us know, just come along. We meet in front of Hinckley Leisure Centre. Derby Runner League cross country dates. All races are enter on the day and open to all club members. 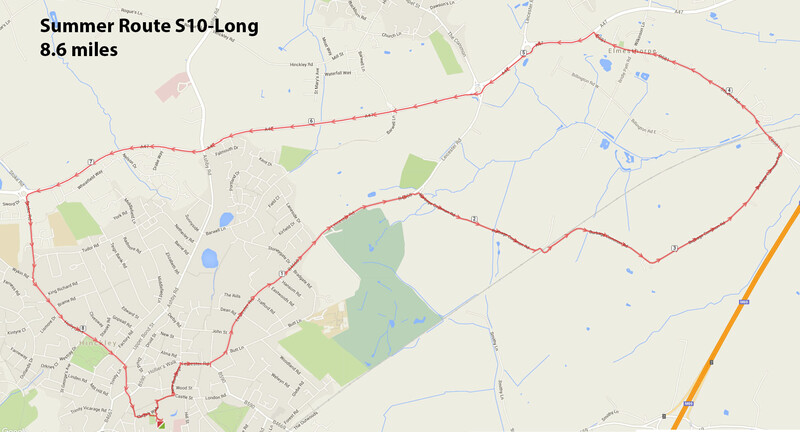 11am adults race (age 15+) typically 5 to 6 miles – £3. 10:30am juniors races of 1 mile (years 1-6) and 2 miles (years 7+) – cost £1. 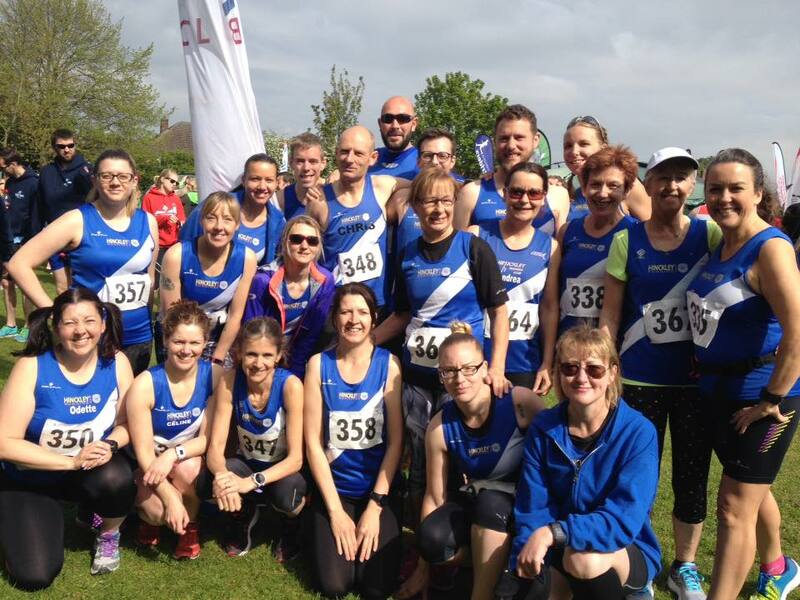 26 Hinckley runners ran the West End 8 on Sunday 7th May – the first race of the LRRL summer league. 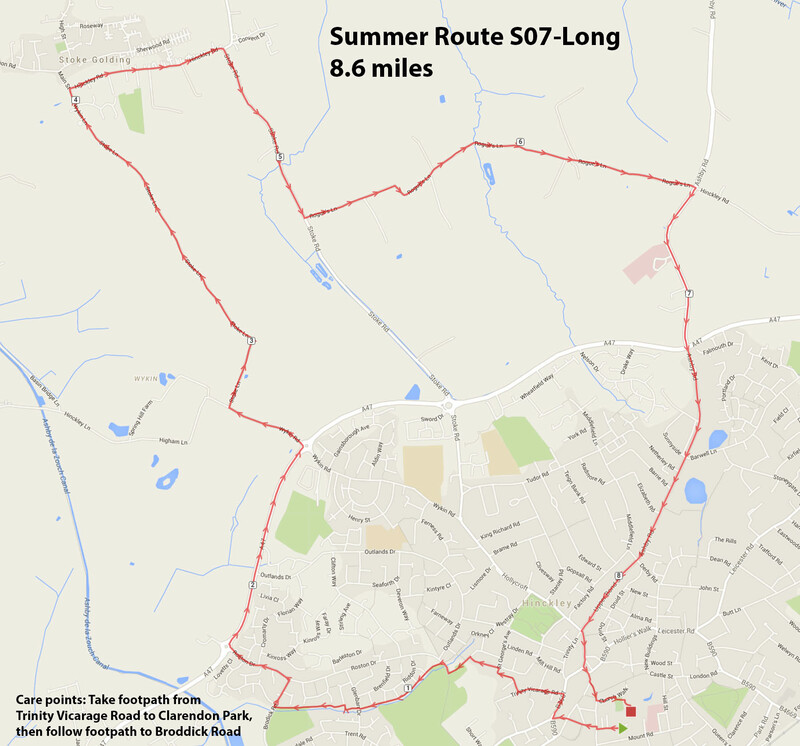 It’s a scenic 8 mile road race on the country lanes near Syston, “undulating” at first, with a tough hill in the middle and a nice downhill finish. Now the ladies are up to joint 6th in div 1, and the men have dropped a place to 5th in div 1. Still 6 races to go. Thanks to West End Runners for putting on the race. Next LRRL races are Gaddesby 7 (21st May) and Swithland 6 (4th June) which are both now closed for entries. Then the Hungarton 7 on 5th July which has just opened for entries. Added West End 8 Final Results to the 2016/17 Races & Results page (results via LRAN). In groups of equal ability starting at Sherbourne Road, run all the way up to the top of Camborne Road at 80% effort then reducing speed slightly to recover back down. This will be done twice followed by a minute recovery. Session will be 25 minutes. Please bring watches to time your minute recovery. Leaving the LC at 6:30pm it’s an approx 1.8 mile warm up. Going through the car park onto Mount Road up to Thornycroft road, across Queens Park, right onto London Road. 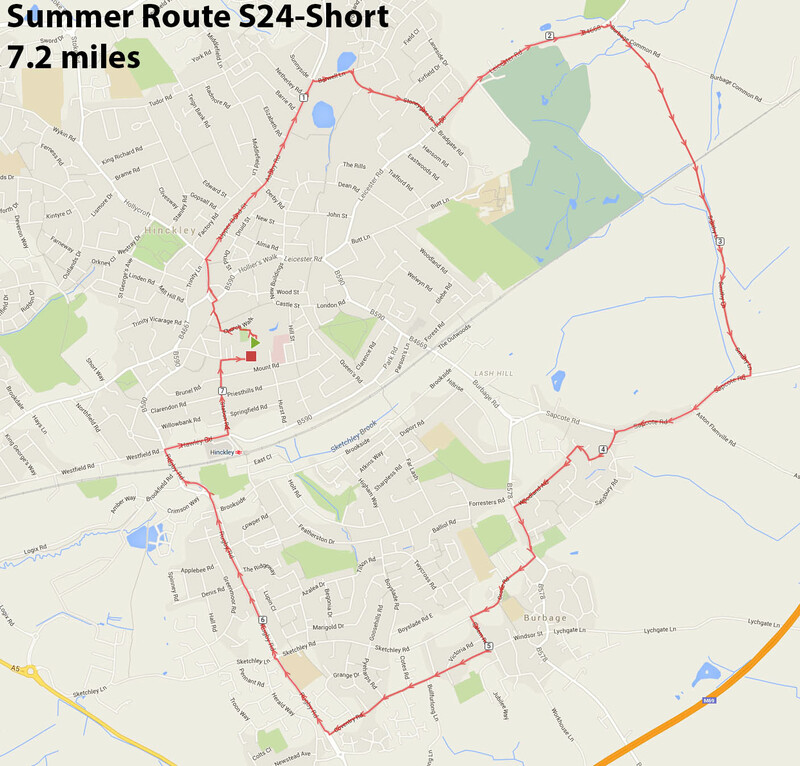 Follow all the way down to Burbage Road and Sapcote Road. Turn right into Winchester Drive and bear left on to Salisbury Road. Sherbourne Road is second on the left. We will be starting at 6:50pm for everyone meeting us there. Added West End 8 Draft Results to the 2016/17 Races & Results page (results via LRAN).